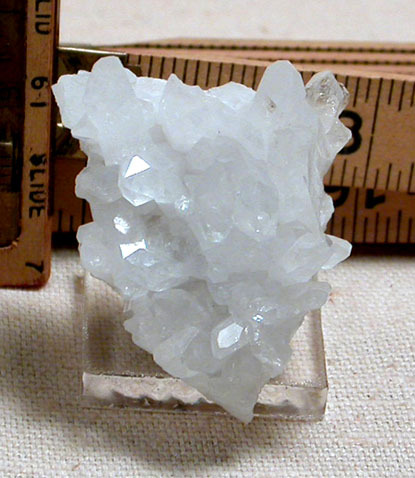 A bouquet of fine Arkansas crystals in a heart shaped cluster - just right to win your heart or someone else's! 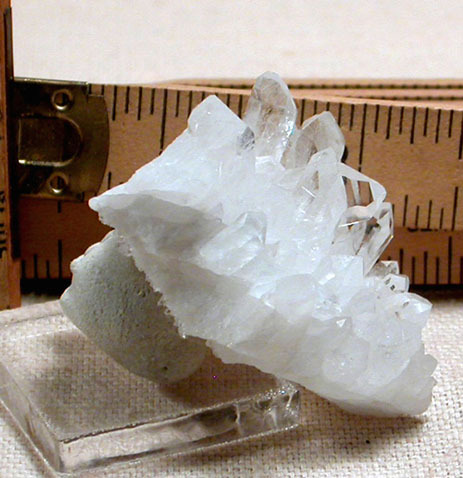 Clear and veiled crystals, X'd, twinned, extra-faced, isis faced grow from a bright white milk quartz base in complete regrowth around a tabular crystal 'kick stand'. 1 1/2x 1 7/8x 1 1/2" tall.